One of the most frequently photographed sections of the Pearl District features these large brick town homes on NW 11th along the streetcar line. 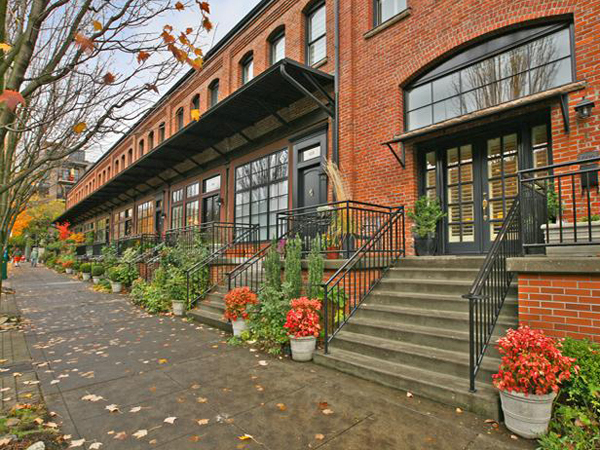 Formerly owned by the railroad and used as a warehouse, the Pearl Townhouses are an outstanding example of how older buildings can be transformed into elegant urban living space. There are currently no public Active listings to display for Pearl Townhouses. If you would like the most up-to-date information about condos in Pearl Townhouses, please contact us at (503) 482-8277 or send an email.